Just because Christmas is over, don’t think you’re finished spending. You have that book voucher from your auntie in your pocket, and that other one from last year in the kitchen drawer that you haven’t even touched. Luckily, those kind people who publish books are here to help you by releasing what is known in the trade as product. How this works is, your favourite authors spend countless hours writing stories and then someone puts a cover on them and sells them in shops. So you may know this already, no need to get so touchy about it – what have I told before about dealing with those negative emotions? Let’s get on with it, before we fall out. Look, books — out tomorrow! 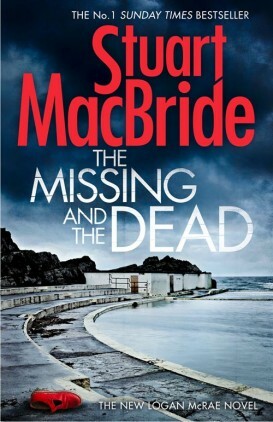 The Missing And The Dead is Stuart McBride’s ninth Logan McRae novel. Ninth! Where do the years go, eh? His McRae novels are set in the Granite City – that’s Aberdeen to you – although in this latest one McRae finds himself out in the cold of the countryside. I’ve a feeling carnage is just around the corner, however. 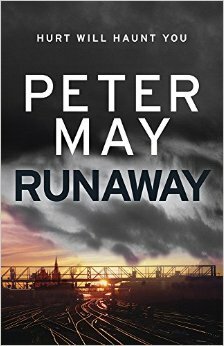 Peter May’s new novel is called Runaway, and it’s based on the time he and some pals ran away to London to be rock stars and ended up sleeping at Euston station. He’s already turned the experience into a song, and now it’s a crime novel, with a bit of murdery stuff added. May is doing a tour in Scotland to plug the book, by the way, and you can get details on those places and dates here. 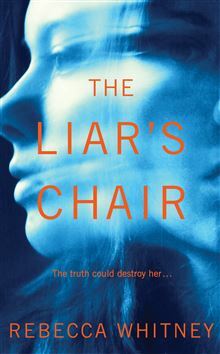 And just to show that we don’t just plug grizzled veterans here, Rebecca Whitney’s book The Liar’s Chair is her debut novel. Interestingly, she’s put the playlist of the music she listened to while writing the novel on Spotify — David Shire’s excellent soundtrack to The Conversation is in there — and the mood board for the novel, which features more toxic domestic drama, is on Pinterest. Rachel Teller and her husband David appear happy, prosperous and fulfilled. The big house, the successful business . . . They have everything. However, control, not love, fuels their relationship and David has no idea his wife indulges in drunken indiscretions. When Rachel kills a man in a hit and run, the meticulously maintained veneer over their life begins to crack. Destroying all evidence of the accident, David insists they continue as normal. Rachel though is racked with guilt and as her behaviour becomes increasingly self-destructive she not only inflames David’s darker side, but also uncovers her own long-suppressed memories of shame. Can Rachel confront her past and atone for her terrible crime? Not if her husband has anything to do with it . . .
A startling, dark and audacious novel set in and around the Brighton streets, The Liar’s Chair will keep readers on the edge of their seats until the final page has been turned. A stunning psychological portrait of a woman in a toxic marriage, Rebecca Whitney’s debut will show that sometimes the darkest shadow holds the truth you have been hiding from . . . 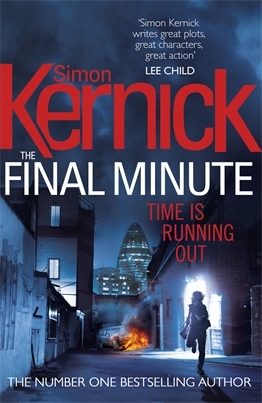 This entry was posted in Books and tagged DI Logan McRae, Peter May, Rebecca Whitney, Runaway, Simon Kernick, Stuart McBride, The Conversation, The Final Minute, The Liar's Chair, Tina Malone on January 14, 2015 by Crime Thriller Fella.